At the College of Pharmacy, there are a variety of student organizations available for students to join. With almost 1,400 student organizations across the university, Ohio State provides a wide range of opportunities for students to get involved. Student organizations have a significant impact in providing effective learning environments for students, preparing them to live and work in a global community. Description: The AMCP OSU Student Chapter works to expose student pharmacists to non-traditional careers in pharmacy such as those in pharmaceutical companies, managed care organizations, healthcare consulting firms, and government agencies. By hosting various events, workshops, and industry site visits, AMCP strives to educate student pharmacists on valuable topics not typically covered in pharmacy school such as pharmacoeconomics, formulary management, health analytics, and business acumen. Description: APhA-ASP is dedicated to the advancement of all student pharmacists by participating in patient care, policy and advocacy, and professional development. Description: American Society of Consultant Pharmacists (ASCP) is an organization that focuses on providing care to older adults in the community and learning more about issues and disease states that affect the older adult population. Description: Buckeyes Without Borders strives to foster global health awareness and teach OSU healthcare students the benefits of an interdisciplinary healthcare team on positive patient outcomes through outreach and education in underserved communities abroad, where we identify and treat the medical needs of their populations. Description: CPNP is engaged with promoting the mental health and well-being of our colleagues. We advocate for the role of pharmacists in the treatment of psychiatric and neurologic disorders, as experts in optimizing pharmacotherapy and providing direct patient care through comprehensive medication management. Description: The GenRx Collaborative is committed to promoting prescription drug misuse awareness and medication safety. Uniting each pharmacy organization's GenRx committees to serve as a resource for students looking to be involved with the GenRx Initiative and its efforts. Description: The Health Sciences Club is designed to inform students about the Health Sciences Program and help undergraduate students become aware of the activities in the community and professional jobs available for this major. This club, comprised of Pre-professionals focuses on academics, community service, health promotion, and professionalism along with aiding students in configuring extraordinary applications for their future plans as a professional in Health Care, whatever they may be; including but not limited to Dentistry, Optometry, PT, OT, PA, Pharmacy, Veterinary Medicine, Public Health, Hospital Management,and MD. Description: Kappa Psi is the nation's oldest and largest co-ed professional pharmaceutical fraternity. This organization strives to advance the profession of pharmacy through community service, philanthropy, and the formation of lifelong bonds with fellow brothers both at a local and national level. Description: The National Community Pharmacist Association at Ohio State is a group of student pharmacists that promote community pharmacy through leadership and advocacy. Description: Outreach Rx aims to increase medication access and proper usage in the community by providing education outreach programs. One of our missions has been to educate and familiarize Columbus communities with the US healthcare system and operations of a community pharmacy. One of the events has been presenting at the international student orientations before the fall and spring semesters. In addition, we collaborate with pharmacists around the community to educate grade school on drug safety concepts. We are undergraduate students who are interested in positively benefiting their community in the context of increasing education and awareness on drug-related topics. Description: It shall be the purpose of Pharmacy Club to present its members with a variety of information about the various occupational and educational fields of pharmacy, to familiarize them with The Ohio State University undergraduate and graduate colleges and their requirements, and to develop social ties with other students interested in pharmacy. Description: Pharmacy Council is the overseeing self-government organization in the College of Pharmacy. Pharmacy Council helps to inform students about general matters of interest and be a liaison between students and faculty/staff/administration. Description: Pharmacy Stock Market Club is open to all Pharmacy students who have an interest or hope to develop an interest in learning about the stock market and investing (no prior experience needed). The focus of the club is to expand our knowledge by our members or speakers through the discussion of investment strategies. We will discuss all ETFs, stocks and mutual funds but will primarily focus on pharmaceutical and healthcare companies as they relate to our profession. You will learn something at every meeting so feel free to stop by! Description: Phi Delta Chi is a co-ed pharmacy fraternity that strives to promote brotherhood through social events as well as acts of leadership, professionalism, and community based service. Phi Delta Chi is partnered with St. Jude Children's Research Hospital and provides the institution with proceeds each year. Description: Phi Lambda Sigma is the national pharmacy leadership society that recognizes students who are leaders. Student pharmacists are selected by their peers because they demonstrate leadership and/or leadership potential. Description: Rho Chi is the pharmacy academic honor society. We promote high ethical standards, seek to advance our field through the development of lifelong intellectual leaders in pharmacy, and strive to exemplify academic excellence. Description: SNPhA is a national organization of student pharmacists that aims to serve underserved populations. We strive to educate and represent underprivileged and underrepresented communities by planning and organizing programs to improve patient outcomes. Description: This organization is committed to promoting an academically enriching and supportive environment, allowing all students of the College of Pharmacy to feel welcomed and appreciated regardless of their background. We aim to recognize, respect, and value people’s differences in hope that all members are able to achieve their full potential by promoting an inclusive culture that produces culturally competent health care professionals. 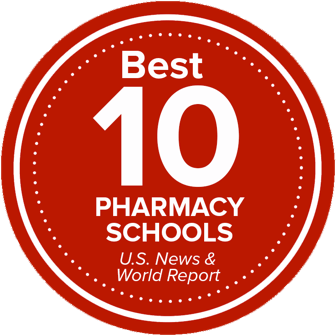 Description: SSHP is an organization focused on educating students on the many career paths within health-systems pharmacy. In addition to this, we also have activities geared towards residency training, pharmacy practice models, and community outreach. Description: The COP Talent Show Association promotes growth and relationships between faculty, staff, and students through the production of an annual talent show. Description: Do you like animals? Do you enjoy collaborating with other professional students? Then join the Veterinary Pharmacy Alliance! We are an organization made up of students from the College of Pharmacy and the College of Veterinary Medicine. We strive to educate each other on each profession's abilities as it pertains to veterinary pharmaceutical care and increase interprofessional collaboration in order to provide the best healthcare to both our human and animal patients. Come talk to us at the Student Involvement Fair to learn more! For more information about student organizations at Ohio State, visit the Office of Student Life website.